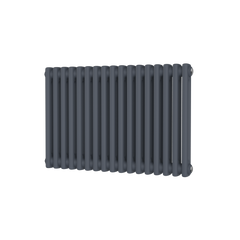 The DQ Axial Towel Radiator is a lovely 3d effect designer radiator. 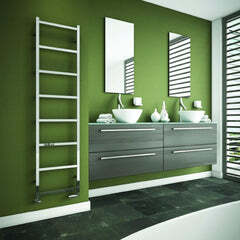 This is a modern ladder towel radiator which has round bars which curves on the edges into the side bars. 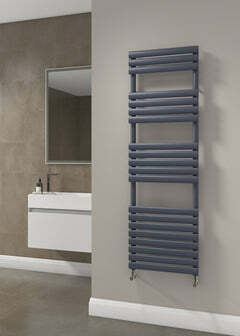 The DQ Axial would make a fantastic addition and feature to any bathroom or cloakroom. 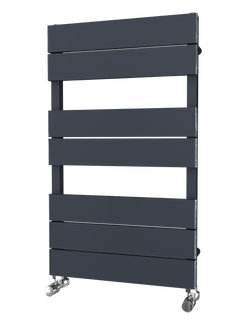 The DQ Axial Towel Radiator is available in mild steel and comes in Central Heating, Electric or Dual Fuel. If you are interested in the Dual Fuel option please contact us for the price. White Aluminium: 820 x 540mm, 1020 x 540mm, 1260 x 540mm, 1420 x 540mm and 1780 x 540mm in stock and available in 24 hours.